A new building for Gaelscoil Donncha Rua in Shannon has moved a step closer to construction with confirmation that a design team is about to be appointed to start the architectural and planning process. Clare Fine Gael TD Joe Carey has confirmed that the Department of Education has approved funding for the provision of a special education room at St Conaire’s national school in Shannon. 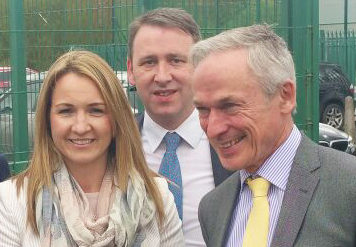 Clare Fine Gael TD Joe Carey has confirmed that ten local schools will undergo major improvement works over the summer months thanks to Government funding through the Summer Works Scheme.